The first CARE package arrived in Le Havre, France, in May 1946, the first of a wave of responses to millions in need of food and relief supplies at the end of World War II. Known then as the Cooperative for American Remittances to Europe, it consisted of 22 American charities of civic, religious, cooperative and labour backgrounds. CARE took possession of 2.8 million USA army surplus packages in 1946, each containing enough food to feed ten people for one day, or one person for ten days. The packages contained staples such as butter, dried milk, canned meat, and sometimes even chocolate and chewing gum. More than seven decades later and counting, CARE has evolved to become one of the largest poverty-fighting organizations in the world, providing relief to people hit by disasters and emergencies, and contributing to economic empowerment that strengthens livelihoods over the long term, starting with women and girls who are often marginalized and among the world’s poorest. From communities facing severe drought in Ethiopia to families torn apart by wars in Syria and Yemen, these are just a few of CARE’s activities in more than 90 countries. With Europe on the road to recovery, CARE found itself increasingly involved in Asia – first in Japan and then in the Philippines, Korea, India and Pakistan. By the early 1950s, operations had been established in a number of Latin American countries, followed by Africa in the early 1960s. CARE at this time also began providing medical services as well as supplies to people in war-torn areas. In most places around the world where human relief was required, CARE had workers on the ground. In recognition of its broadened service offerings and geographic scope, CARE changed its name in 1953 to the Cooperative for American Relief Everywhere. Throughout the 1960s and 1970s, CARE expanded its offerings beyond immediate and short-term relief to more long-term assistance in the form of recovery and rehabilitation. With the Peace Corps established in 1961, CARE began to train volunteers and help manage the Peace Corp’s first projects. While CARE continued to respond with food distribution in the wake of disasters and emergencies, it also initiated innovative projects to help communities provide for themselves. In the early 1980s, CARE’s longer-term development programs increasingly began focusing on ways to improve the status of women, and encourage their greater participation. Such programs included special income-generating activities such as poultry-raising, silkworm cultivation and silk spinning, rice-husking, and mat-making. 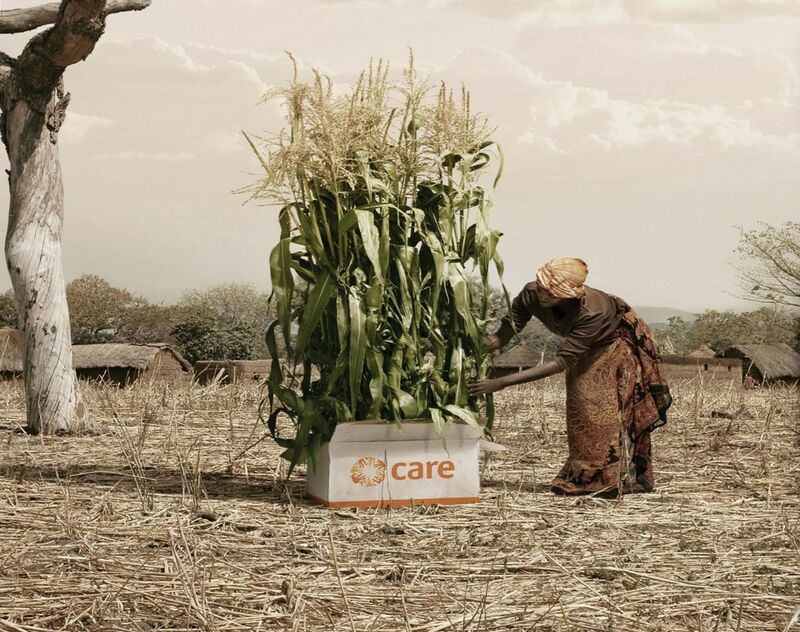 From the civil war in Rwanda to the Persian Gulf War, CARE was there providing much needed relief in increasingly dangerous operational environments. In 1993, in an effort to reflect the wider scope of our programs and impact, CARE changed the meaning of its acronym to “Cooperative for Assistance and Relief Everywhere”. In the first part of the new millennium, CARE applied its time-tested capabilities in emergency relief and recovery to a series of major crises, including the Asian tsunami, earthquakes in Pakistan and Indonesia, and the displacement of more than 2.5 million people in the war-torn region of Darfur, Sudan. During this time, CARE solidified its position as a leader in such areas as agriculture, education including for girls, health and community well-being, small-scale entrepreneurial activity such as village savings and loans, improving water sanitation and hygiene, and making women’s empowerment and development core to all these approaches to defeat poverty. CARE’s understanding of poverty has grown over decades of experience, helping us to address poverty’s root causes that include the absence of rights, and of opportunities and assets -- all largely due to social exclusion, marginalization, and discrimination.